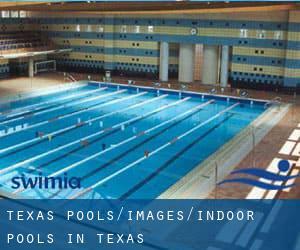 Thanks to some new Indoor Pools in Texas submitted each day, Swimia.com is escalating everyday the number of stored pools. Please don't hesitate to make contact with us should you uncover any inaccurate or incomplete information. Please check the nearest Swimming Pools or Contact us to ADD IT. It's totally free! Are you a frequent swimmer? Do you visit the same Indoor Pools in Texas? Please check that all of the particulars for your aquatic center are right and make contact with us if you ever locate any mistake. If you might be visiting Texas make sure you know the rules and regulation for swimming as they may not be precisely the same as in your home town. The best pools to swim are definitely indoor olympic pools. Swimia.com wants your feedback to ensure all the information is valid, considering that maybe this pool is no longer open to the public. Swimming is a wonderful thought to keep your body active in the course of your visit to Houston (Texas), or even should you be a local. Swimia helps you to find your closest Pool in Houston. Holding an estimated population of 1.327.407, San Antonio is one of the most important cities in Texas. Check all of the Swimming Pool in San Antonio and its surrounding area. Without a shadow of a doubt, swimming in Dallas will be the perfect option to unwind right after work. 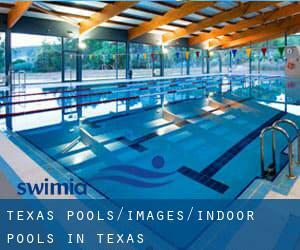 Take a couple of minutes to browse Swimia's catalog to find a Swimming Pool in Dallas. Updated on 2019 710 Landa Street , New Braunfels , TX , USA (Postal Code: 78130). Among all the activities offered by the center, when you are interested in swimming you can expect to appreciate 25 meters, 5 lanes, Indoors. Just in case you desire to contact this Swimming Pool before dropping by, we only know the phone number. Updated on 2019 1107 Junction Hwy. , Kerrville , TX , USA (Postal Code: 78028). Swimmers like you have reported 25 meters, 5 lanes, Indoors. Also, you will find 20 yards x 30 feet, Indoors. Just in case you need to contact this Swimming Pool prior to dropping by, we only know the phone number. Updated on 2019 1500 Hawkins Blvd. , El Paso , TX , USA (Postal Code: 79925). Among all the activities supplied by the center, in case you are enthusiastic about swimming you will take pleasure in 25 yards, 6 lanes, 3.5 feet - 5 feet depth, Indoors. If it is advisable to make contact with this Pool, email address and phone number are both number. Updated on 2019 1246 Austin Highway , San Antonio , TX , USA (Postal Code: 78209). Among all the activities offered by the center, should you be interested in swimming you can enjoy 25 yards, 4 lanes, Indoors. Just in case you need to make contact with this Swimming Pool before dropping by, we only know the phone number. Updated on 2019 1712 P Avenue , Plano , TX , USA (Postal Code: 75074). This sports center provides 25 yards, 6 lanes, Indoors. For this Swimming Pool, only phone number is number here. Updated on 2019 8100 Independence Drive , El Paso , TX , USA (Postal Code: 79907). This sports center gives 25 yards, 8 lanes, Indoors. Contact data for this Swimming Pool which include phone number and e-mail address are number. Updated on 2019 7700 Jones Maltsberger , San Antonio , TX , USA (Postal Code: 78216). Swimmers like you reported 25 meters x 15 meters, 5 lanes, Indoors. Unfortunately we do not have the email address of this Swimming Pool, but we can give you the phone number. Updated on 2019 1000 Bear Creek Parkway , Keller , TX , USA (Postal Code: 76248). Swimmers like you reported 62 yards x 25 yards with 2 moveable bulkheads, 8 lanes x 25 lanes, Indoors. Unfortunately we do not have the email address of this Swimming Pool, but we can give you the phone number. Updated on 2019 2901 FM 802 , Brownsville , TX , USA (Postal Code: 78520). This sports center gives Olympic size x 25 yards, 18 short-course lanes, 12.7 feet maximum depth, Indoors. Contact information for this Swimming Pool like phone number and e-mail address are number. Updated on 2019 6900 North West Loop 1604 , San Antonio , TX , USA (Postal Code: 78216). Swimmers like you reported 25 yards, Indoors. Updated on 2019 2400 Long Road , Denton , TX , USA (Postal Code: 76207). Swimmers like you reported 25 yards, 10 lanes, Indoors. Unfortunately we do not have the email address of this Pool, but we can give you the phone number. Updated on 2019 5801 W Parker Rd , Plano , TX , USA (Postal Code: 75093). This sports center offers 25 yards, 8lanes, 3.5f - 12 feet depth, Indoors. For this Swimming Pool, only phone number is number here. Updated on 2019 8440 Freeport Pkwy. , Irving , TX , USA (Postal Code: 75063). Among all the activities offered by the center, if you are considering swimming you may get pleasure from 27 yards, Indoor/Outdoor. Just in case you would like to make contact with this Swimming Pool just before dropping by, we only know the phone number. Updated on 2019 5021 Airport Avenue , Rosenberg , TX , USA (Postal Code: 77471). Among all the activities offered by the center, when you are interested in swimming you can expect to appreciate 25 yards x 25 meters, Indoor/Outdoor. Just in case you desire to contact this Swimming Pool before dropping by, we only know the phone number. Updated on 2019 6301 Salem , El Paso , TX , USA (Postal Code: 79924). This sports center provides 25 yards, Indoors. Contact information for this Swimming Pool for example phone number and email address are number.